The Darkhorse anti-hero Hellboy is probably not the most well known of superheroes, or even close to being just “known.” His story has been an odd one in a sea of Kryptonian aliens, gadget building billionaires, and genetically enhanced humans. He’s the son of demon prince sent to Earth to serve his purpose as the Beast of the apocalypse before being adopted by a professor and raised to fight evil within the ranks of a secret government organization, alongside other strange creatures and humans with strange abilities. It wasn’t exactly cut from the cloth of a blockbuster Marvel, but it had enough of a cult following to warrant a sequel to the first attempt to adapt it back in 2004. After the sequel in 2008 garnered some interest but not enough to justify the large sequel needed for the next one. And while it seems Guillermo del Toro has all but abandoned the idea with his rumored work on an adaptation of Scary Stories to Tell in the Dark, quite a few people have caught Ron Perlman at conventions and asked him if the much talked about sequel was ever going to happen and the prospects, unfortunately look grim. 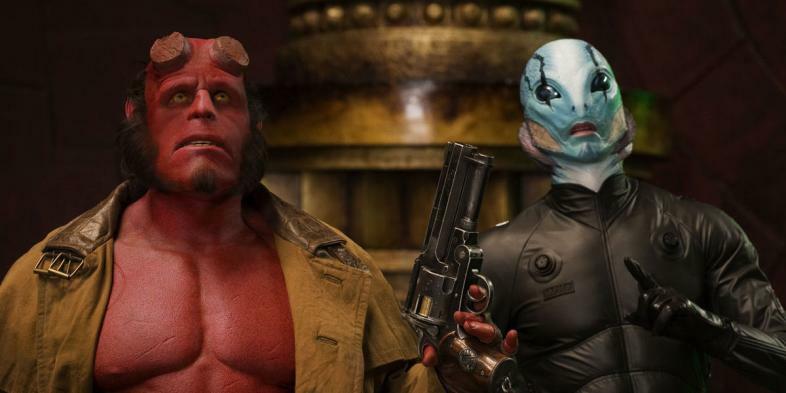 Unfortunately for the small but dedicated group of fans who have been hounding del Toro and Perlman for news on the project, it seems like the conclusion to the intended trilogy was everything fans had been hoping for since the first film hinted at Hellboy’s (real name Agnun Un Rama) role in the coming apocalypse. Perlman and del Toro have both hinted at the scale of the film they want to create and the emotional drama it would entail, especially after the Angel of Death whispered a dire warning to Liz of the consequences if she saved Hellboy’s life.